Looking for a great lunch spot? 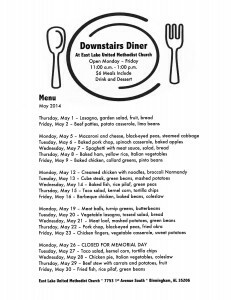 Our favorite place is right here in East Lake—the Downstairs Diner at East Lake United Methodist Church! 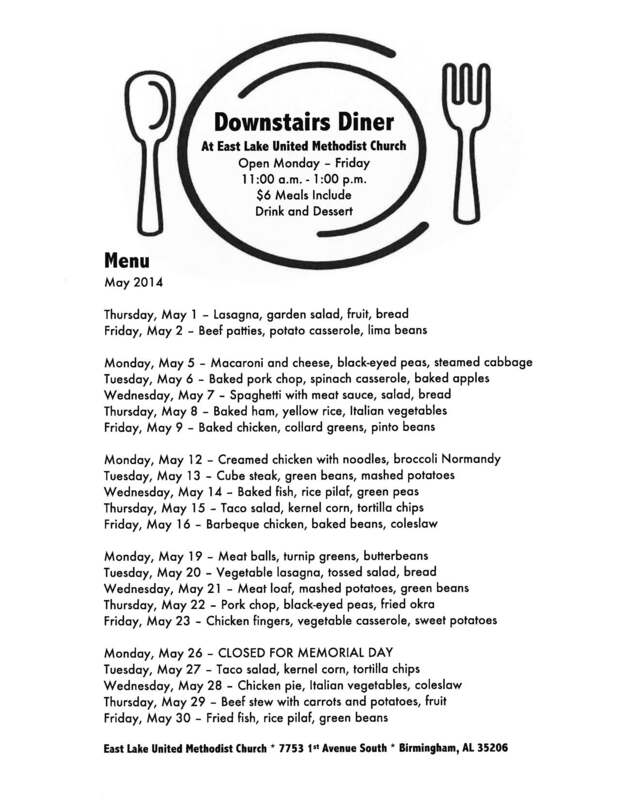 Chefs Juanita Jones and Samuel Cheathem prepare a healthy and delicious lunch each weekday from 11-1. Here’s what’s on the menu this month.